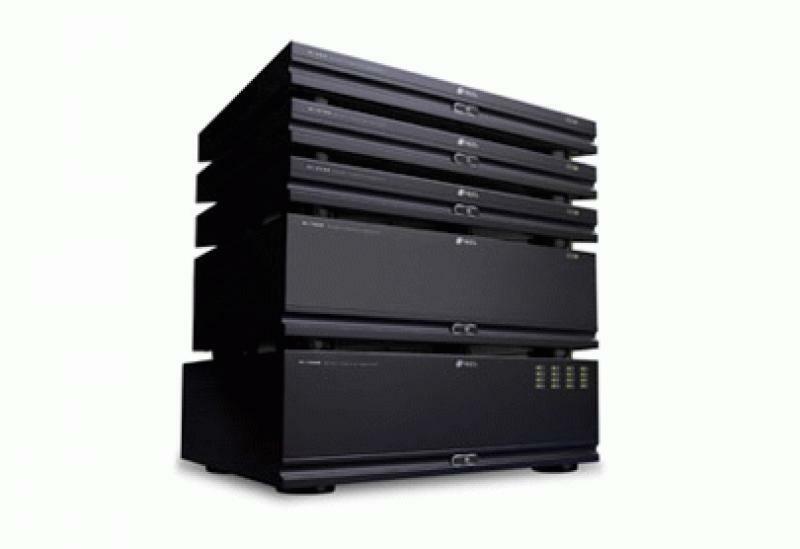 Niles recently introduced a new line of five Systems Integration Amplifiers that includes the re-tooled SI-1230 Series 2 Amplifier, the successor to the SI-1230 that was inducted to the CEDIA Hall of Fame in 2011. • Read more multi-channel amplifier news from HomeTheaterReview.com. • See more reviews in our Stereo Amplifier Review section. The three new 2-channel Niles Systems Integration Amplifiers, the SI-250, SI-2100, and SI2150, feature audio circuitry constructed using 1% metal film resistors, high quality capacitors and oversized heat sinks that reportedly ensure proper cooling without the need for a noisy fan. In an effort to provide bass and dynamics to every speaker, the amplifiers deliver 50W, 100W, or 150W RMS per channel at 8 ohms and 100W, 220W, or 270W RMS per channel at 4 ohms respectively. For applications requiring high output, such as subwoofers or rock speakers, each of these amplifiers can also be operated in a bridged mono configuration, resulting in the delivery of 225W, 400W, or 550W respectively. Each amplifier channel features an independent level control enabling volume matching to the rest of the system. They also feature gold plated stereo inputs, cascade stereo outputs, and five way binding posts. The SI-1230 Series 2 Systems Integration Amplifier is a fully configurable 12-channel power amplifier that provides 30W per channel (80W when bridged) and features a unique BusMatrix selector that allows each channel to be set to left bus, right bus, left plus right bus (summed stereo), or the channel's dedicated input. The new Niles SI-1650 16-channel amplifier features a web browser configurator that allows each channel to select from any of the 16 inputs or combination of inputs. The powerful and versatile amplifier delivers 50W per channel and includes a high power mode that produces 100W per channel for 8 channels. The amplifier's high pass and low pass filters allow it to be used with subwoofers and make it ideal to match with Niles popular line of GS Garden Speakers. All five Niles Systems Integration Amplifiers come with a two-year limited warranty, include a removable line cord and rack mount ears, and feature three turn-on modes: Music Sense, External Voltage Trigger, and Manual Turn-On via the front panel switch. They also each provide a 12V DC output whenever the amplifier is on, allowing operation of voltage-triggered devices like motorized screens and curtains. The 2-channel models measure 438cm wide by 56cm high by 344cm deep and fit in a single rack bay. The 12- and 16-channel models measure 438cm wide by 145 cm high (including feet) by 411cm deep and require three rack bays.